Dr. Pietro Bertoglio and his colleagues at the University Hospital of Pisa stopped performing the aggressive extrapleural pneumonectomy (EPP) surgery for mesothelioma more than a decade ago. 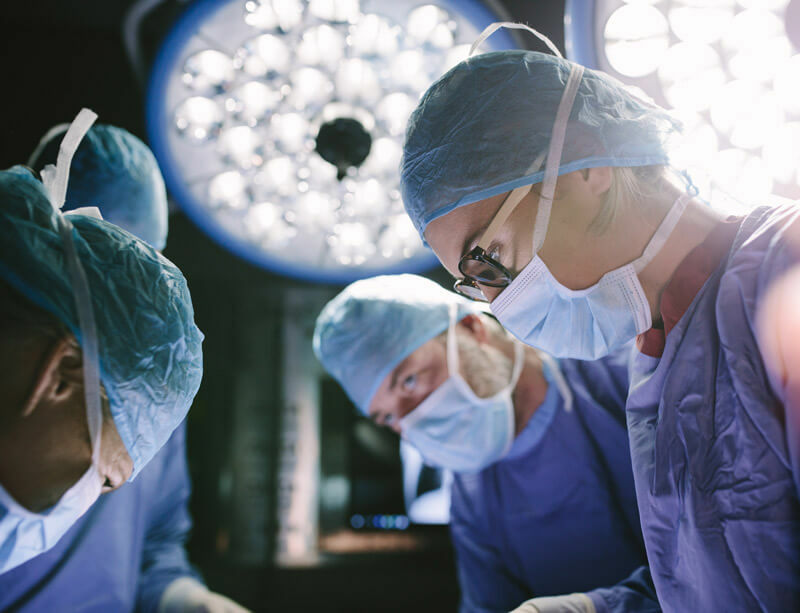 They believe it’s long overdue for everyone else to do the same and instead use the less-debilitating pleurectomy/decortication (P/D) procedure. The Journal of Thoracic and Cardiovascular Surgery recently published the University Hospital of Pisa’s 10-year experience using P/D and hyperthermic intrathoracic chemotherapy (HITHOC). Two editorial commentaries from thoracic surgeons in the U.S. accompanied the study from Italy, supporting it to varying degrees. EPP was commonly used by mesothelioma specialists two decades ago, but prevalence of the approach has fallen significantly. The surgery involves removing an entire diseased lung, the lining around it, much of the diaphragm and the lining of the heart. EPP is one of the most aggressive surgeries for any cancer, and its mortality and morbidity rates are considerably high. P/D, by comparison, leaves the lung, diaphragm and heart lining intact. The procedure removes the lining around the lung and any diseased tissue. It also removes any visible tumor cells throughout the chest cavity, including those on the lung. P/D is a much more detailed, meticulous procedure, but less traumatic to the patient. The Italian study included 49 patients in a 10-year period. All received P/D and HITHOC, a way of delivering chemotherapy directly to the chest cavity. Patients also were able to finish at least three cycles of adjuvant chemotherapy, and many received adjuvant radiation therapy. The median survival rate was 22 months. The one-, two- and five-year survival rates were 79.6 percent, 45.7 percent and 9.9 percent, respectively. The median age of the patients was 68 years, and most were treated during cancer stage 2 or 3. There were no cases of mortality in the first 90 days. Thoracic surgeon Dr. Andrea Wolf at Mount Sinai Hospital in New York supported the study’s premise. In 2017, Wolf co-authored a report in Annals of Translational Medicine that examined the impact of different surgeries on quality of life after a diagnosis of mesothelioma. The study showed P/D was superior to EPP in lung-function parameters, physical and social functioning and continued symptoms. “We’re finding that patients just do better in terms of survival and in terms of quality of life,” Wolf told Asbestos.com. Thoracic surgeon Dr. Steven Milman at the Warren Alpert Medical School of Brown University emphasized instances where EPP should be used. While many thoracic surgeons moved away from using EPP, others believe there still is a role for the procedure. A 2017 study at the Scott & White Medical Center in Temple, Texas, showed impressive survival rates for patients having the procedure. During a 10-year period with 104 patients being treated for mesothelioma, 18 underwent an EPP with follow-up intensity modulated radiation therapy (IMRT). The two-, three- and five-year survival rates were 66 percent, 50 percent and 33 percent, respectively. The average overall survival rate of 38.2 months was among the best recorded for that procedure. While Bertoglio and his staff are committed to P/D as the only major surgical option to offer, he understands why others might not totally agree. Ambrogi, M. et al. (2017, November 1). Diaphragm and lung-preserving surgery with hyperthermic chemotherapy for malignant pleural mesothelioma: A 10-year experience.